Garage Door Bottom EPDM "T" Rubber Weather Seal 8-ft.
CLOPAY Garage Door Bottom EPDM Rubber Weather Seal 8-ft.
Windsor Vinyl P-Bulb Garage Door Bottom Weather Seal 8-ft.
Wayne Dalton Garage Door Bottom Bead End Rubber Weather Seal 8-ft.
Ultra Rubber Garage Door Bottom T-End Weather Seal 8-ft.
Bulb-Type EPDM Rubber Garage Door Bottom Weather Seal 8-ft.
“P” Bulb Vinyl Garage Door Bottom Weather Seal 8-ft.
Garage Door Bottom “T” Bulb Vinyl Weather Seal 8-ft.
Keep drafts, dirt and rodents outside your garage with a garage door weather seal in 8-foot lengths from Garage Door Supply Company. Cold air seeping into your garage can drive up your heating bills in winter, and hot air seeping inside your garage can add to your energy bills in warm weather seasons. With our bargain-priced weather stripping, it's inexpensive to replace cracked, flattened or otherwise worn garage door bottom weather seals. 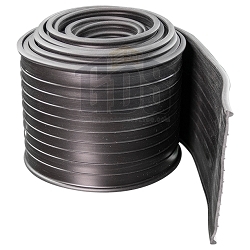 We have T-bottom weather seals designed for medium or large gaps between your garage floor and garage door bottom. 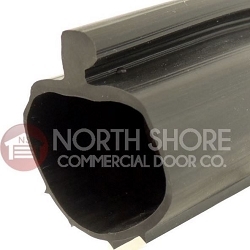 We have wood door bottom seals for garage doors and threshold kits. 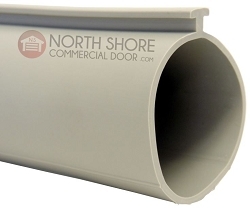 Because our weather seals are sold by the foot, you can order 8 feet of weather seal or another length. When you measure your garage door bottom, add another foot to account for any shrinkage to make sure you have plenty of weather stripping for your DIY replacement. 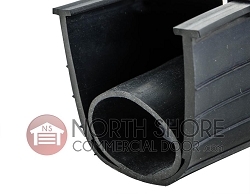 For example, if your single garage door is 7 feet wide, order 8 feet of weather seal.